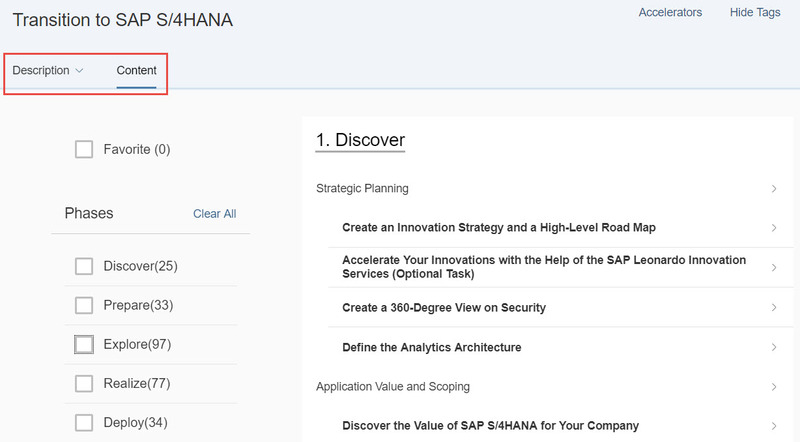 The new version of the “Transition to SAP SAP/4HANA” road map is online in the SAP Roadmap Viewer. The “Transition to SAP S/4HANA” road map version 18Q4 has been updated to reflect information on the newest SAP S/4HANA release 1809. The information on supporting services has been updated as well. You can expect the next content update beginning of 2019. In case you have feedback to the road map content, or ideas about content to be linked from the road map, please feel free to contact me (christoph.nake@sap.com). Once you are already on SAP S/4HANA on premise, you potentially would like to learn on the upgrade procedure. Others would like to know how to implement more innovations. There is a new road map out describing these scenarios. Look up the blog “New SAP S/4HANA Upgrade and Product Integration Road Map” of Astrid Tschense for more details. The “Transition to SAP S/4HANA” road map version 18Q3 has been updated to reflect information on the newest feature pack stack 02 for SAP S/4HANA 1709. The configuration activities of the Realize phase have been re-structured in sprints for agile implementation. The Project Management activities and accelerators from the road map “SAP Activate Methodology for Business Suite and On-Premise” are now directly integrated in the “Transition to SAP S/4HANA” road map for E2E coverage of the complete transition project in one place. When using the project plan template accelerator from the road map, all recommended and required project management tasks are already included. You can expect the next content update in October 2018. The „Transition to SAP S/4HANA” road map 18Q2 has been updated with new information on Feature Pack Stack 01 for release 1709. Although untouched on activity level there are many changes on task level. In particular, the tasks for Fit / Gap and Configuration have been re-written describing application configuration for Line of Business areas (was structured according to Business Priorities in the past). On the entry page (Description), you find a “Welcome” section, the road map graphic and a link to a detailed introduction text on how to work with the road map. In the section below, all phases are described. To start navigating in the road map structure and read through the tasks and activities, you have to open the Content tab. To set a scenario filter, scroll down to the More section, in the left structure pane and select the scenario in scope. To narrow your search further down, you can additionally select a work stream, a phase, or a service. You can expect the next content update in July 2018. Many new and valuable information sources included pointing to SAP blogs where the SAP Regional Implementation Groups have documented their learnings from customer implementation projects. Include of a new “Cookbook on Customer / Vendor integration” for customers. Updates on new tools around custom code management described in blogs from SAP P&I. Include of an important additional pre-check on your custom code. The context is documented in SAP note 2318321). Updates on the new 1709 appliance of SAP Activate for SAP S/4HANA. Many new and updated links pointing to offerings from the SAP Enterprise Support Academy. Please note that this time, the road map structure on activity level stays unchanged. You can expect the next content update in April 2018. 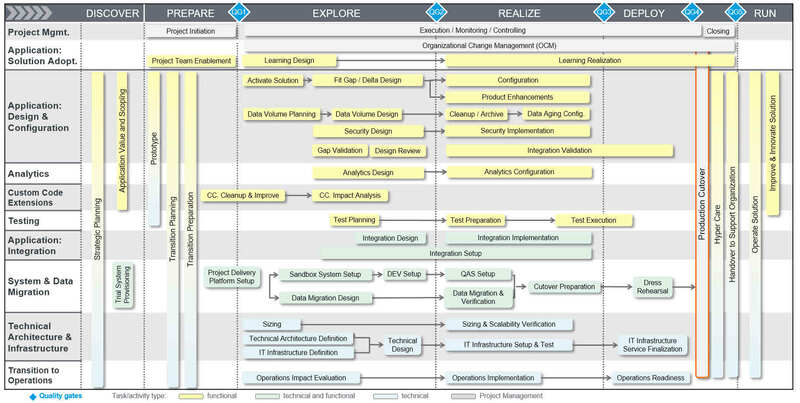 SAP has already published a new version of the “Transition to SAP S/4HANA” road map. The name of this version is “17Q4”. This blog is used to summarize the changes. New activity named “UX Activation and Design”, which bundles all UX related planning and design tasks (were scattered across multiple activities in the past). – Include of about 50 valuable blogs around SAP S/4HANA implementations topics from the SAP Regional Implementation Group (RIG), e.g. on Customer/Vendor integration, or the activation of SAP Best Practices content. – Update of release specific accelerators to SAP S/4HANA release 1709. You can expect the next update of the “Transition to SAP S/4HANA” (version “18Q1”) mid of January 2018. SAP is about to publish a new version of the “Transition to SAP S/4HANA” road map. The name of the version will be 17Q3 (version 17Q2 has been skipped). This blog is used to summarize the planned changes. The activity “Custom Code Management Execution” is now a task under “Product Enhancements”, which now bundles all required code changes. Largest content change: Introduction of a new work stream named “Application: Integration” which bundles activities required to properly integrate the new SAP S/4HANA system into the solution landscape. 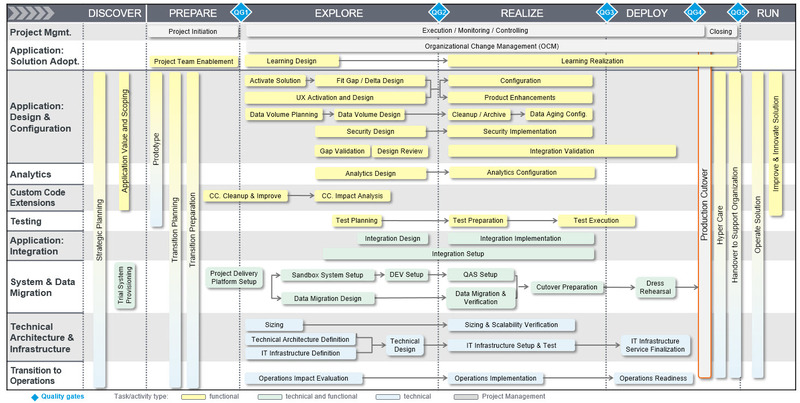 The SAP Road Map Viewer is a tool used by the implementation project team members to navigate the phases, activities, tasks and accelerators related to the SAP Activate methodology. The on-premise road map “Transition to SAP S/4HANA” is updated quarterly to reflect the latest information. The version name of the road map is <Year><Quarter>. This blog is used to summarize the changes. May I know the effort update from 1511 to 1610 ? we have customers who did the upgrade from 1511 to 1610 within 2 month. The effort largely depends on the functional changes you will do within this upgrade project. Also there are still simplification items you potentially need to address. By the way, we have plans to publish a dedicated upgrade road map for SAP S/4HANA within the next 2 month. 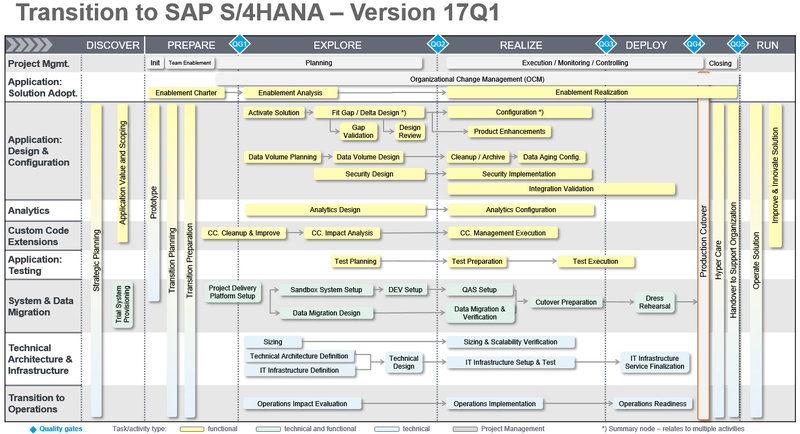 The road map will describe the activities required to upgrade to SAP S/4HANA 1709. “17Q1” is the release of this transition road map. It is NOT an SAP S/4HANA product release. The next product release of SAP S/4HANA on premise will be release 1709, planned to be available in September 2017.
do you know when we can download the release 1709? the 1709 release is in publishing process right now. In case you are interested in a DRAFT PDF please contact me via email (christoph.nake@sap.com).